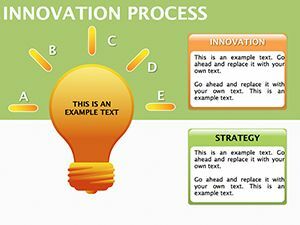 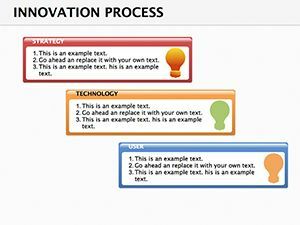 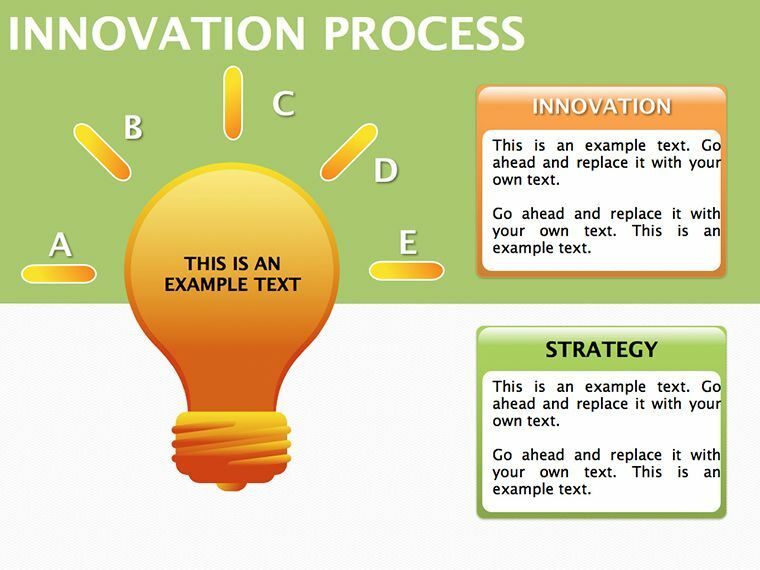 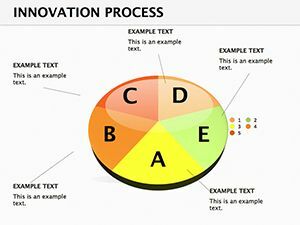 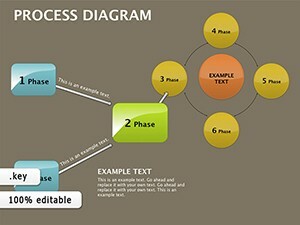 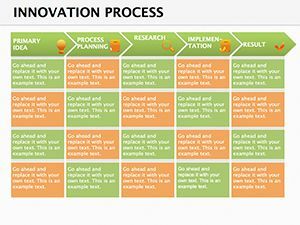 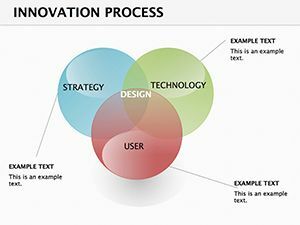 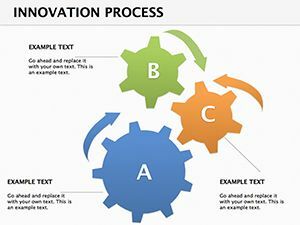 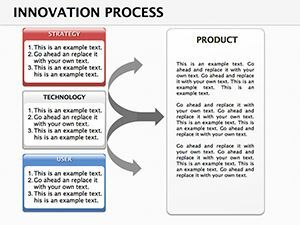 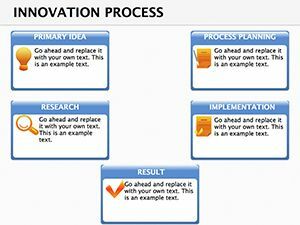 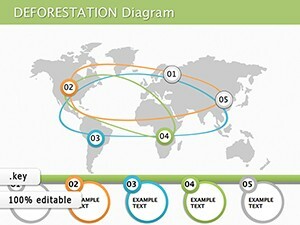 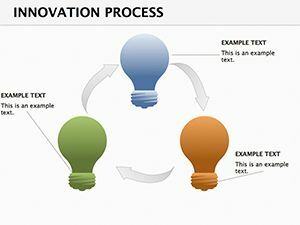 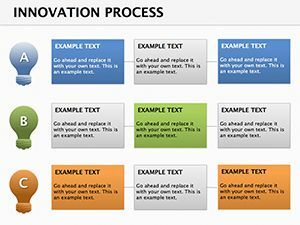 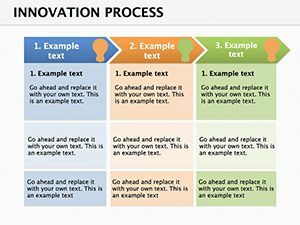 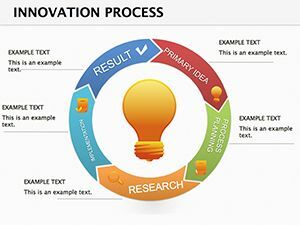 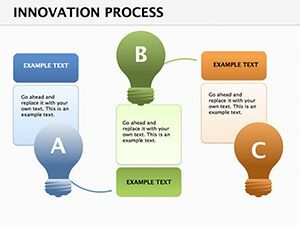 Innovation Process Keynote diagrams template has editable diagram: they are easy to apply. 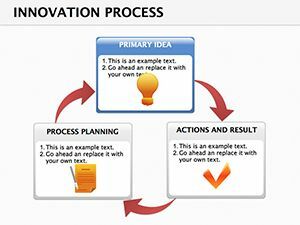 Innovation in production and non-production areas in the field of economic, social, legal relations, science, culture, education, health, public finances, in the finance business in the budget process in the banking, financial markets, insurance and so on. 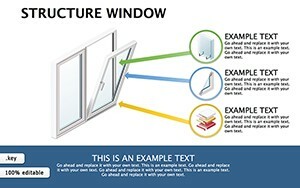 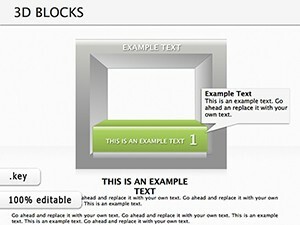 In the .zip file contains 14 editable slides.